gloves with a separate section for the thumb, ended in an elastic border or without a border. 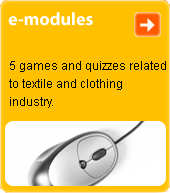 Can be one-colour or patterned, from a knit or a woven fabric. Used as a protection against winter weather and as a component of protective workwear.